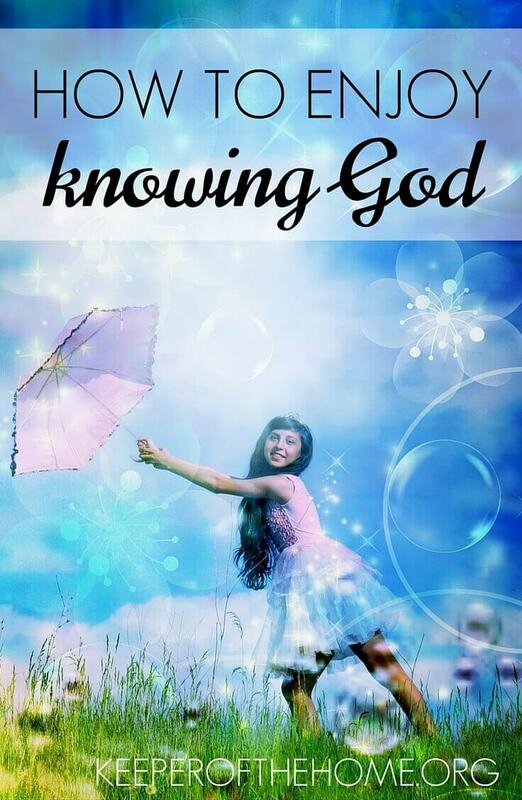 Have you struggled with knowing God? 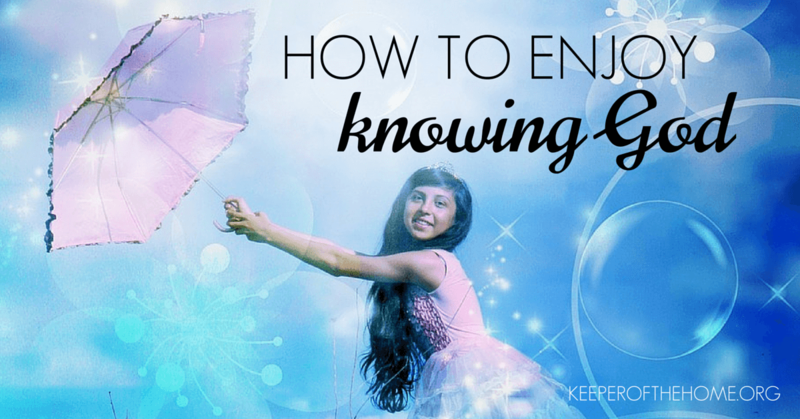 This will help you grasp the concept that knowing God is pleasure—in fact, it is the deepest pleasure on earth. The spa experience spells PLEASURE. 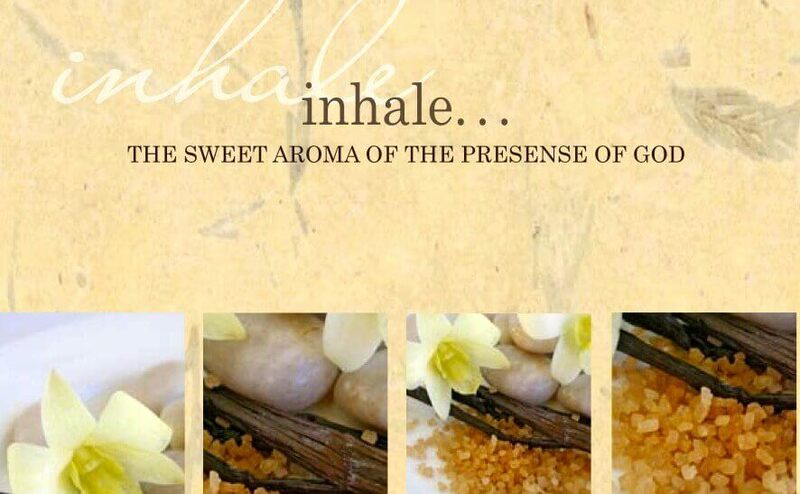 It is the smell of finely perfumed candles wafting through the air. It is fountains bubbling against the backdrop of calm and inspiring music. It is elegance and orderliness, cleanliness and shine, comfortable chairs and crisp, green apples in wooden bowls, and lemon water with a sprig of fresh mint to enjoy at will. All of that—even without a strawberry body buff or stone body polish—is worth the visit! 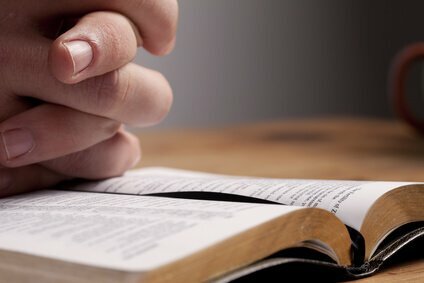 Years ago the basic teaching of the Bible was put into a question-and-answer format called “catechism” to enable young and old to grasp the overall meaning. The first question of the catechism is: “What is the chief end of man?” The answer is: To glorify God and enjoy Him forever. Glorify and ENJOY . . . I don’t think most people have wrapped their minds around enjoying God. But I believe that if they did, they would find themselves glorifying Him as well. Isn’t it true that when we enjoy the company of someone, we want to get along with them and help make the relationship strong? Most people do not seem to grasp the concept that knowing God is pleasure—in fact, it is the deepest pleasure on earth. God is not impersonal or unreachable. Quite the opposite, really. Our human personality is derived from a personal, relational Creator God who created us to love us. Think of it: the Creator of the universe created us in His own image—with a finely tuned spiritual and mental capacity– so that we could enjoy a relationship with Him! I find great pleasure in the presence of God. I find joy and peace, safety and rest, tranquility and radiance more astonishing than a summer sunset over the Pacific Ocean. In addition, I experience the pleasure of His friendship that does not go away when the sun goes down or when dark clouds roll in. In fact, I have found it to be true that when the storm rolls in He is “close to the brokenhearted: (Psalm 34:18). “Friendship with God?” you say. Absolutely. Abraham, the father of the Judeo-Christian faith, was called a friend of God. We are told that God would speak to Moses “as a man speaks to his friend” (Exodus 32:11). Centuries later, Jesus said, “Greater love has no one than this, that he lay down his life for his friends, and that He taught His friends everything that He had learned from the Father (John 15: 13-15). The pleasure of the presence of God is available to anyone who wishes to know Him, to receive His love through the love of His Son, to honor and trust Him as God. There is so much pleasure to be found! 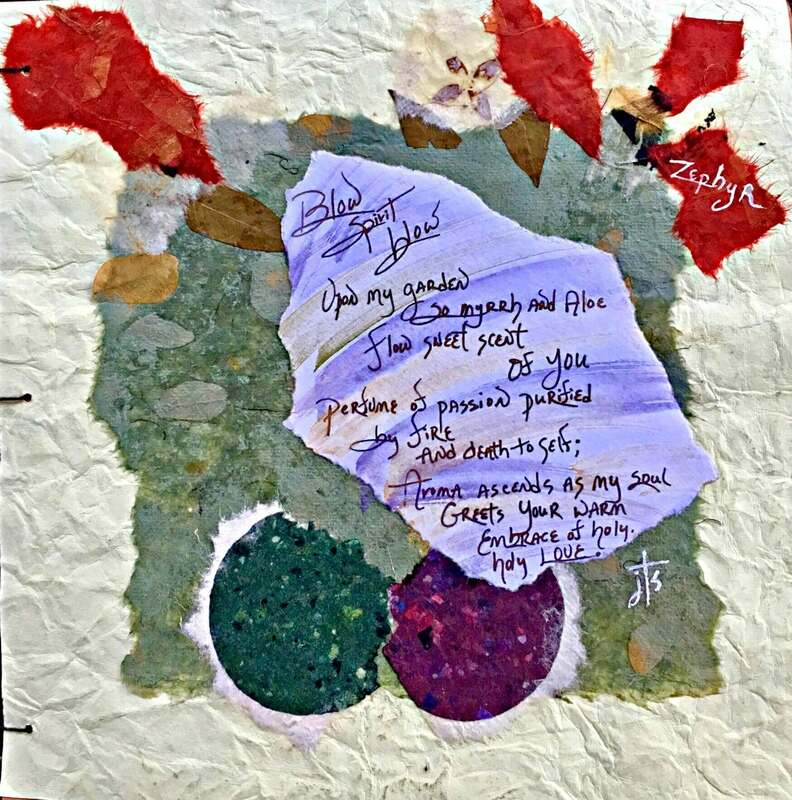 Note from Ann: I just love the way Janie paints a picture of a joyful relationship with our creator! 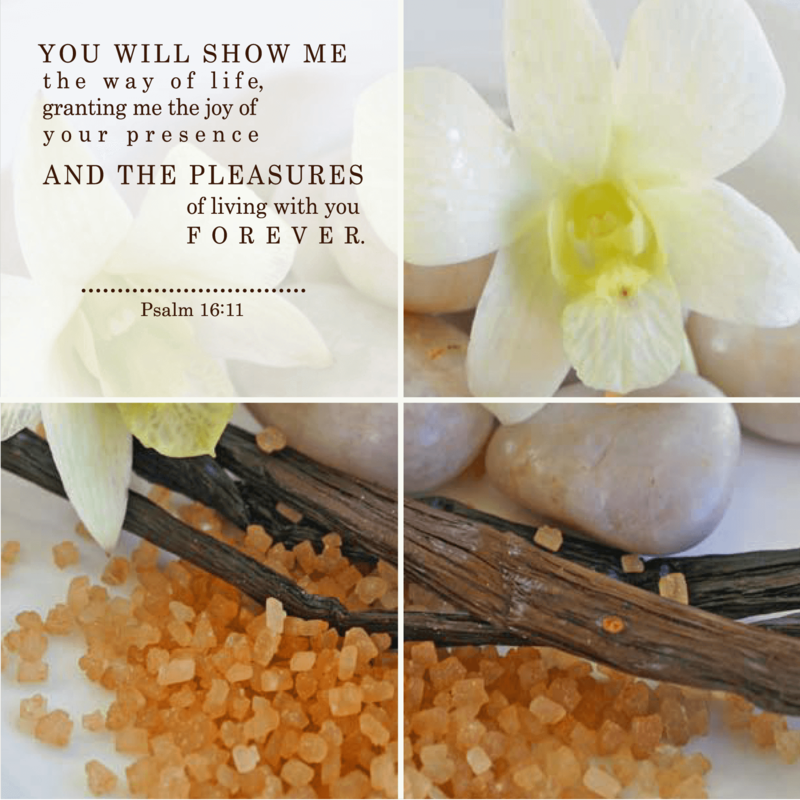 Joy, peace, safety, rest…all things I crave! And imagine that promise from Psalm 16:11 “You will show me the way of life, granting me the joy of your presence and the pleasures of living with you forever.” How I needed that, thank you Janie! How would you describe your relationship with God? What can you do today to become better friends with Him? moment looks pink and blue. He is good, knows best, loves them unconditionally and will work things out. He is God. Not too long ago, we went through a very difficult season in our lives, perhaps the most difficult we have ever gone through. My husband was diagnosed through cancer following a surgery to remove a lump in his neck, and then went through nearly 5 months of chemotherapy, and he is just now reaching the end of his rehabilitation process as he regains his strength and goes back to work. To top off an already challenging situation, I was 7 months pregnant with our second child when we received the diagnosis, and Caden was born between Ryan’s 2nd and 3rd chemo treatments. As I look back on this time in our lives, I praise God for the ways that he developed my faith leading up to the cancer. Only the year before, we had been struggling with infertility (not to the same degree as so many other women, so I even hesitates to mention it, but it was real and painful in our lives nonetheless). During that year, I fought with God. I pleaded, I got angry, I felt hopeless, I charged Him with being unfair. 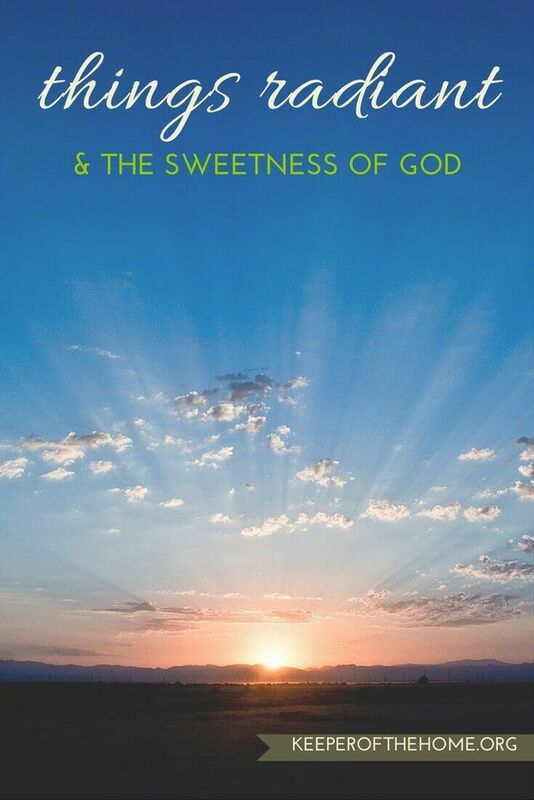 At the end of that year, I was given the book Trusting God: Even When Life Hurts, a treatise on the sovereignty of God. As I read, I began to understand and accept the fact that He is God, He can and will do as He pleases, and He is always good, no matter what. His plans may differ from my plans, but they are for my good, and for my sanctification into the likeness of Jesus. Finally, there was peace in my soul as I trusted in the God who knows and made me. When faced with cancer, I suddenly became grateful for that experience. God had used a trial in my life to develop my faith and prepare me for the difficult season ahead. I can say with joy that through (and only through) the sheer and inexhaustible grace of God, I did not charge Him or become angry at Him because of our circumstances. Instead, I felt inexplicable peace, and thankfulness for His care for us in the midst of it all. Tribulations and trials are not the enemy. There is an Enemy of our souls who desires to use these trials to turn our eyes away from God, and to cause us to cease to believe in His promises (that He has already met our greatest need through the cross of Christ). As Janelle wisely said, when trying circumstances come and present us with the opportunity to allow our faith to be strengthened, let us welcome them. For months I’ve had just the title of this post in my drafts but a blank canvas so to speak. I wanted what I write to be God breathed because in fact we have been waiting on God. We are all waiting on God at different times in our lives. For you, it could be that baby you have been longing to hold in your arms, an illness to be healed, a family member or friend to come to the Lord, a break-through in your marriage or finances, to start a business, a door to be opened, what ever it is we are left waiting. In the waiting, the Lord is with you and I, He is faithful! For all of us though, we are in the instant gratification era, in this stage if life we are used to conveniences and do not like waiting for things. However, the bible is chock full of stories of waiting. Sarah and Abraham, Noah, Moses, Joseph, and dozens of stories that talk about the visions the people had and their having to wait on the Lord, but in all of the stories the Lord is faithful in what He promised them. For about three years, my husband and I have been waiting for the doors to open, to open our business, we wrote it on the wall and we waited. With my husband being a wellness chiropractor we knew we wanted to teach health in a completely different manor than most doctors are teaching. At different times we tried to see if the door was open, sometimes there was light behind a crack in the door but it just wouldn’t open completely. Over the course of the waiting, God was preparing our hearts for this time, for this place, for this purpose to help change the way health care is provided and to keep God at the center of it all. Most of the time you will not get the lightening strike sign from God you so desperately want. When waiting on God we often wind up just waiting and waiting but sometimes God wants you to walk out on faith. After much waiting, we decided we just had to walk out on faith. We moved to the town were were going to open up in and while waiting we were starting to make steps to make our vision a reality. Finally now, my husband and I are relishing in the moment and in all of the waiting I can now see that He was faithful in his promise to us. This song has been a huge encouragement to me, the Lord is faithful and every victory is His power in us. Do not cease to pray about what you are waiting for and ask others to pray for you. God honors obedience and prayer is a must in your relationship with Him. Listen to Him when you pray, it isn’t always about you talking to Him. Sometimes your silence allows you to “hear” Him. Be open-minded to God’s will and not only your own plan. God is going to take your plan and may make it seem impossible to our human minds. Then He is going to give you two roads. Your way or His way. His way looks harder, but the truth is that it is only your own self-doubt that can stop a “God-thing”. Don’t get discouraged. What if you wait for three years, and get nowhere. Keep your head up and your heart focused. That breakthrough you have been waiting for will happen, with patience- us moms best friend! Open your ears to listen to Him even if it’s through the wisdom of others like friends, family or pastors and sometimes in your very own thoughts. But be very careful for doomsdayer’s and gloominess. There are some people that want to bring you down. In this case, remove them from the conversation, surround your life with people who lift you up. Have a servants heart. Regardless of where you are in your vision or waiting on God, life should always have a focus on serving God through serving people. If you are worrying about your finances, go feed the homeless, be God to those less fortunate, if you are longing for a baby make a meal for someone who just had a baby, place yourself in places where your heart can grow more dependant on Him. Build relationships. If you have a vision to make a difference, then go ahead and start building a future of partners that will prosper when you have been sharpened by God and He releases you to fulfill your destiny. 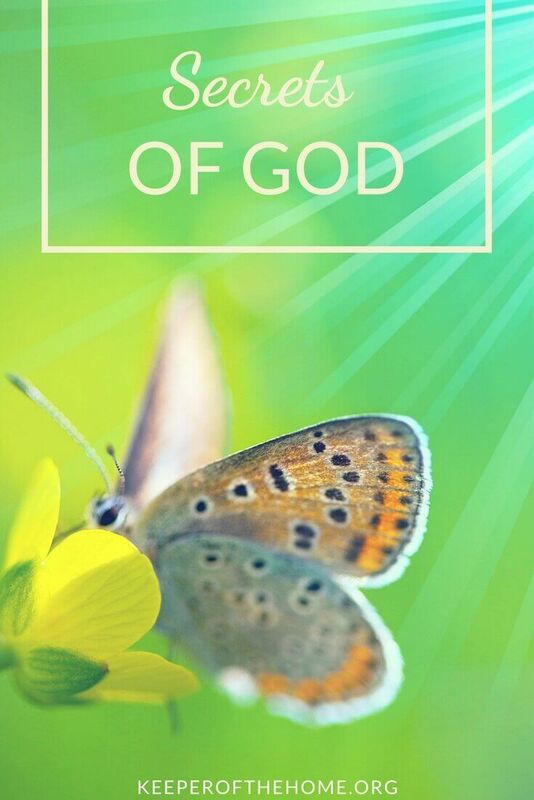 As we continue to explore of the honeycomb of faith⏤the sweetness and goodness of God⏤Jesus, Son of God and bearer of truth and grace, showed us by His life that God is GOOD. We can taste and see that God is good! (Psalm 34:8). Taste and see! Jesus is the sweetness of the honeycomb!!! 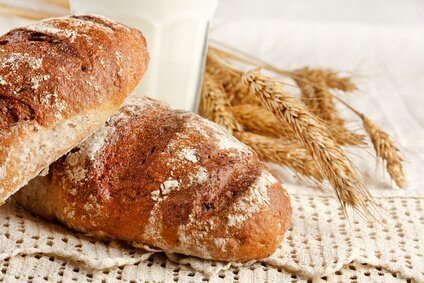 A good friend of mine has started baking homemade bread made with certified organic wheat not impacted by GMO. 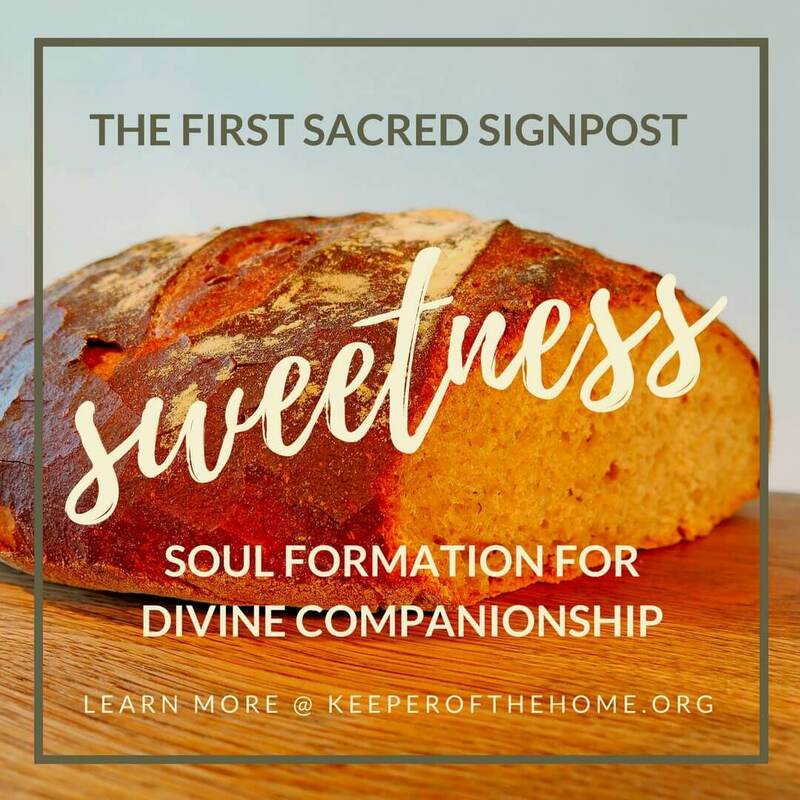 She recently brought a loaf fresh out of the oven to share with a carload of us heading to Los Angeles from San Diego. By the time we arrived at our workshop site, we had devoured most of the large loaf. Are you surprised? Especially when you hear that she slathered each slice with pure Irish butter! Do I hear YUM? All that was missing was honey from the honeycomb! Previously, I talked with you about Wisdom, the crown and the honeycomb of life. I suggested that if you desire to have wisdom, you might consider following Jesus, because Christ is the alphabet of God. In Him “are hidden all the treasures of wisdom and knowledge” (Colossians 2:2-3). The prophet Jeremiah said: “Set up markers for yourselves. Erect signposts for yourselves. Pay attention to the highway, to the road you traveled . . . ” (Jeremiah 31:21). That is what these signposts are! They are places along your path for specific growth in wisdom and knowledge of God. The signposts are: Sweetness, Secrets, Surrender, Struggles, Stillness, Suddenlys, and Seeing. I hope you’re tracking with me (no pun intended!). You’ll understand more as we go along together. But for now let’s go back to the aroma of freshly baked bread. This is the sweet aroma of the presence of God and all of the nourishment for your soul that you can imagine! 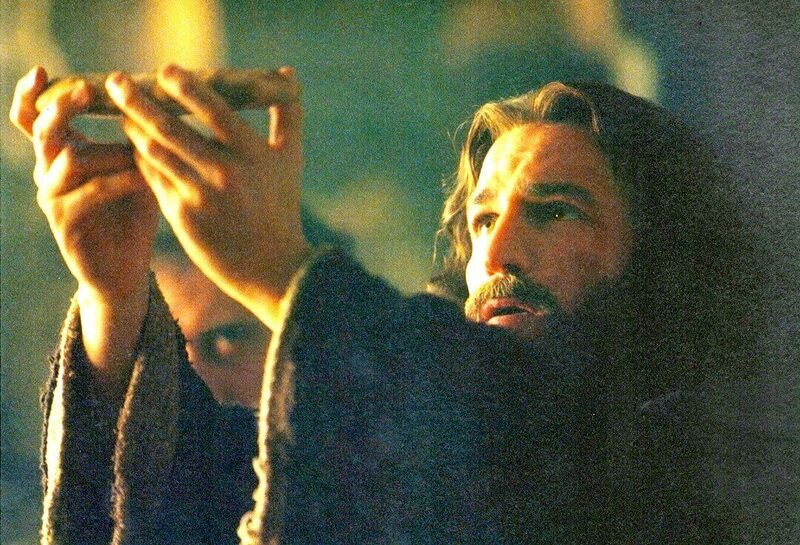 Jesus said, “I am the bread of life” (John 6:48). 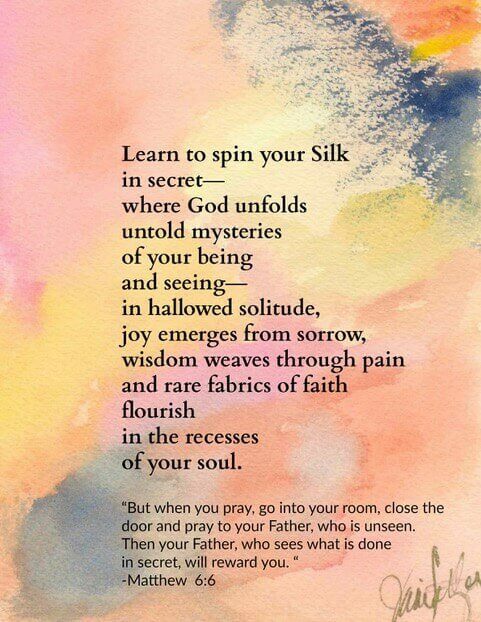 Note From Ann: I just love how Janie winds us through the soul’s journey of growth through God’s shimmering Light and Secrets (Second Sacred Signpost of Divine Companionship) by using one of my favorite fabrics, silk… If you are searching for what’s inside your soul (and aren’t we all? ), be sure to spend some time with this relaxing wisdom! Silk is a remarkable fabric. It shimmers with beauty like no other fabric. Its shimmering appearance comes from a triangular, prism-like structure of the fiber which allows silk cloth to refract incoming light at different angles. In short, light dazzles from the shape of the woven fabric! For now, I want to emphasize that spiritual growth is a remarkable journey– not unlike the journey and transformation of the Silkworm! We need to go inward to spin our most beautiful fabric of faith . . . it is one of the (open) Secrets of the Kingdom of God! This is the shimmering transformation in the presence of God and all of the light for your soul that you can imagine! 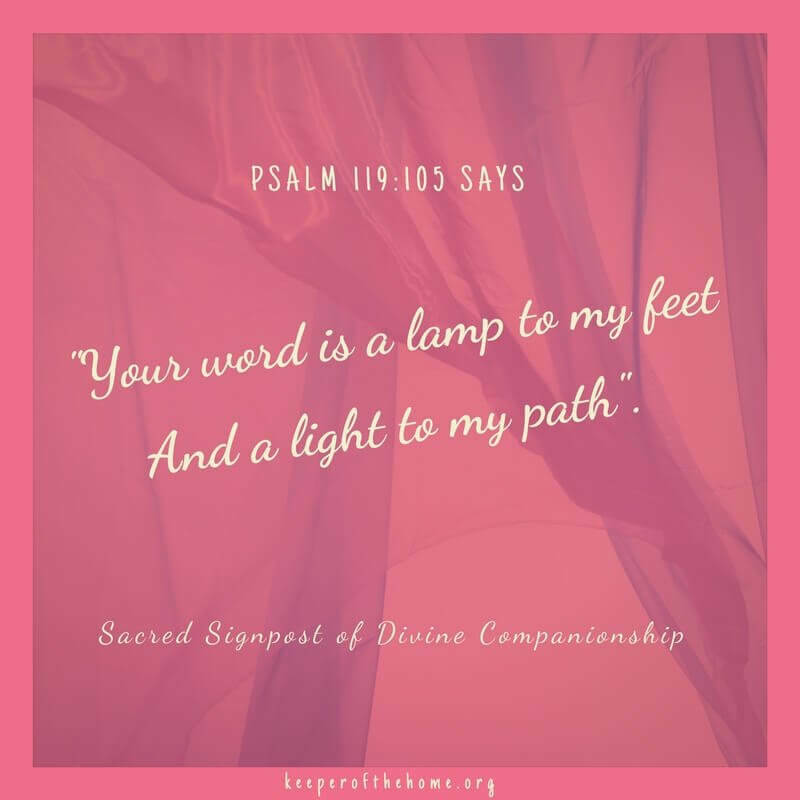 Psalm 119:105 says “Your word is a lamp to my feet And a light to my path”. 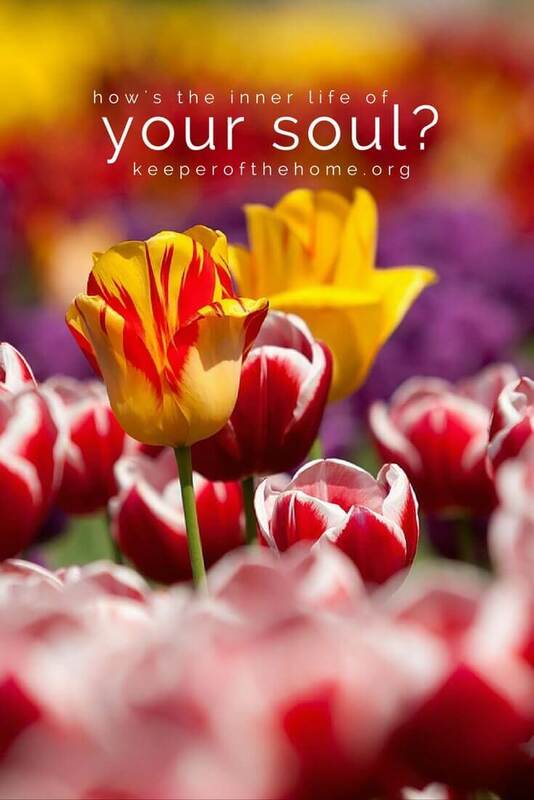 How’s the Inner Life of Your Soul? 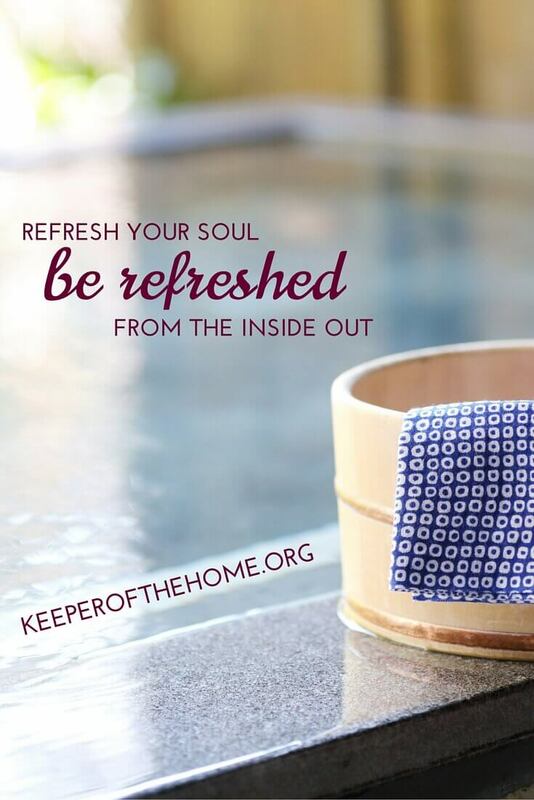 Refresh Your Soul: Be Refreshed from the Inside Out! The signposts are: Sweetness, Secrets, Surrender, Struggles, Stillness, Suddenlys, and Seeing. Read more here. 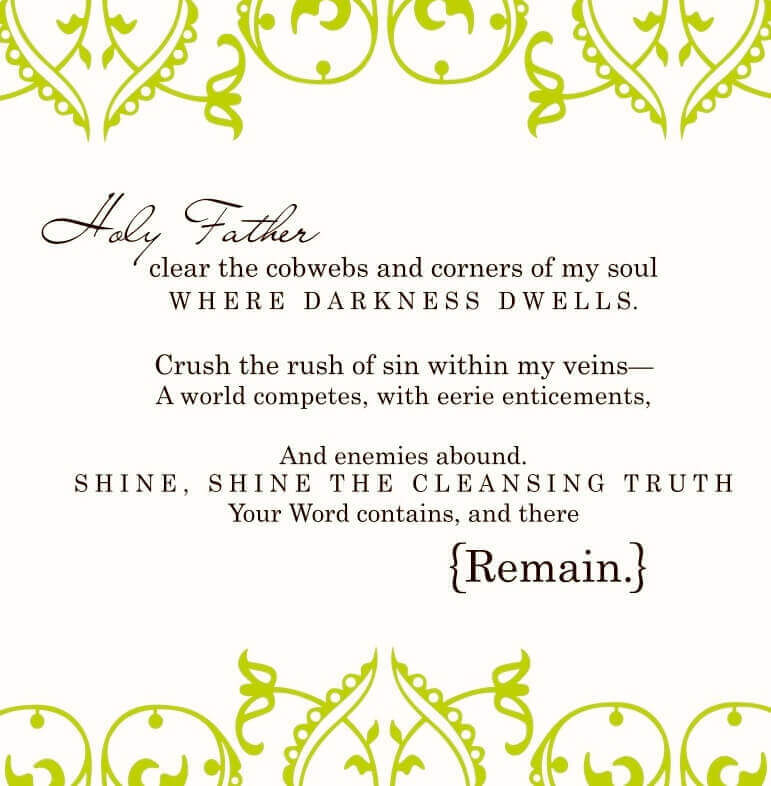 What can you do today to begin your soul’s transformation from God’s shimmering light? A vibrant spiritual life is as refreshing to the soul as a day at a spa for the body. How amazing would it be to experience an inner landscape as alive and rejuvenated as your body feels after a massage or as fresh as your face after a cucumber scrub? Better still—imagine yourself with the gift of an entire day at a world class spa where all five senses of your body—sight, sound, smell, touch, and taste—are impacted by your experience. So it is and more when your spirit connects to the Spirit of the living God. Life in the presence of God is life at its best. 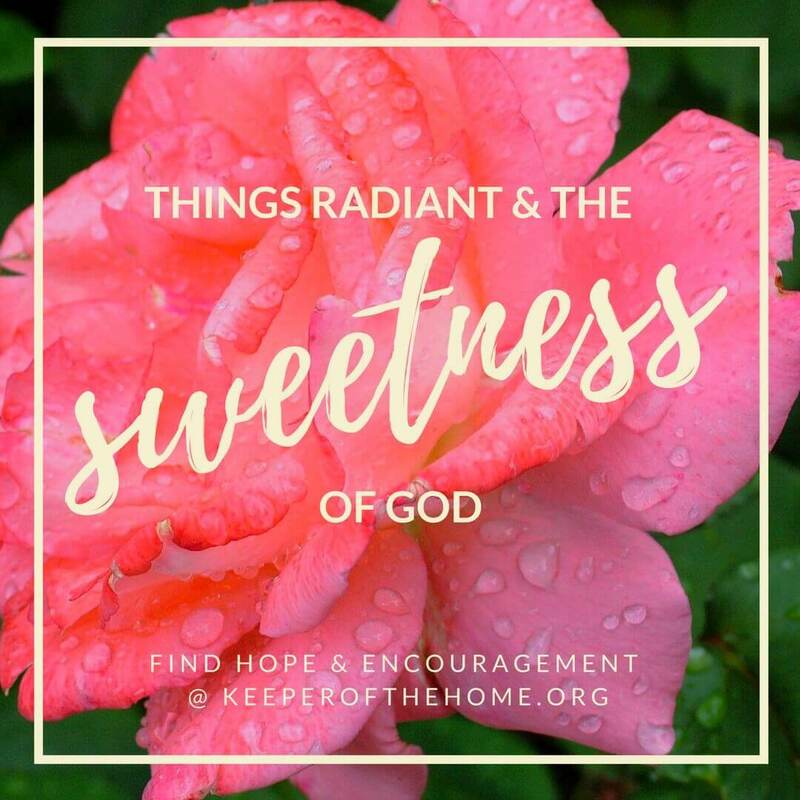 Nothing in your circumstances may change—though often things do change when you are in step with His Spirit, Yet the radiance of God’s love within warms, strengthens, comforts, heals, and satisfies our deepest longings. 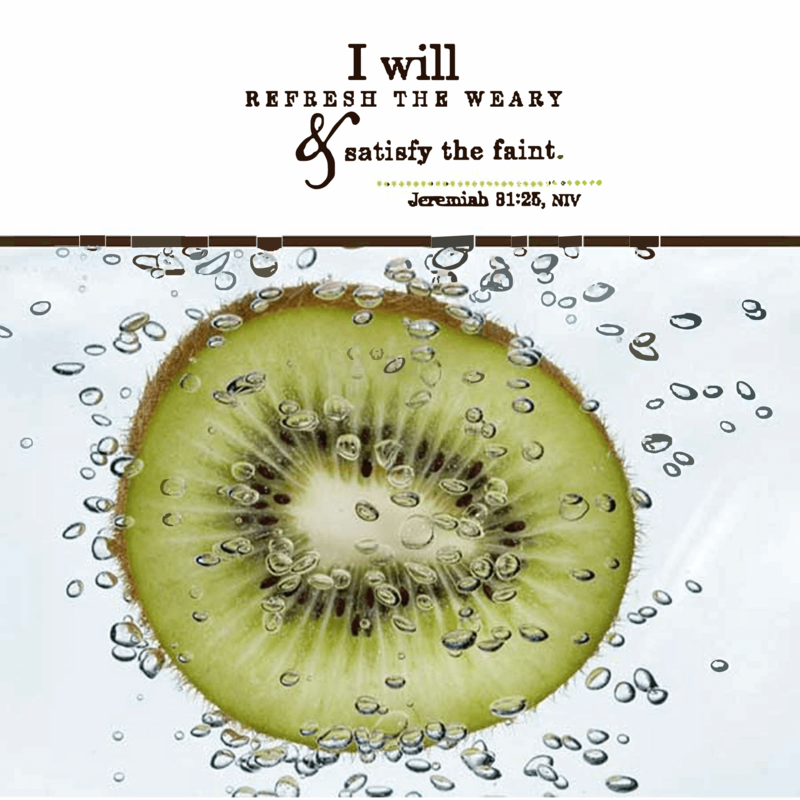 Are you someone who longs to be truly refreshed? While a spa treatment definitely refreshes for the length of time you are receiving it, deep within you know you need more in order to deal with the demands of a life filled with checklists, anxieties, and constant challenges. Maybe, like me, you were hit by a devastating whirlwind of circumstances that threw your whole life upside down. You wonder if anything will ever be the same again. Even a day at a spa cannot heal your soul. No flash of lightning streaked through the sky. No angel suddenly appeared. The plane continued on course. But I know I was heard. Slowly, steadily things began to change. Small rays of hope crept into my soul like streaks of early morning light that creeps under closed doors and around the edges of closed curtains. Gradually life flowed as the love of God refreshed me, encouraged me, and surprised me in unexpected ways. In time I was able to do life with energy and enthusiasm again. All of the heartache did not go away, but I found safety and refuge to sustain me and even propel me forward. I did not remain stuck in my sorrow and loss. A WORLD CLASS SPA IS OPEN TO YOU. It is a gift of love from the Creator of the universe. Note from Ann: Oh yes, I have been in that place of despair, feeling dead inside. And always, always, constantly trying to meet the demands of daily life! 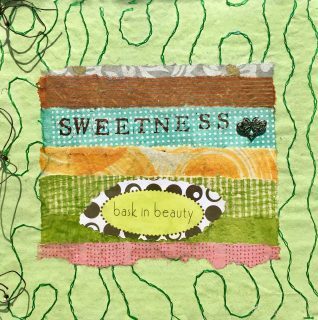 Thank you Janie, for reminding us where true refreshment comes from! 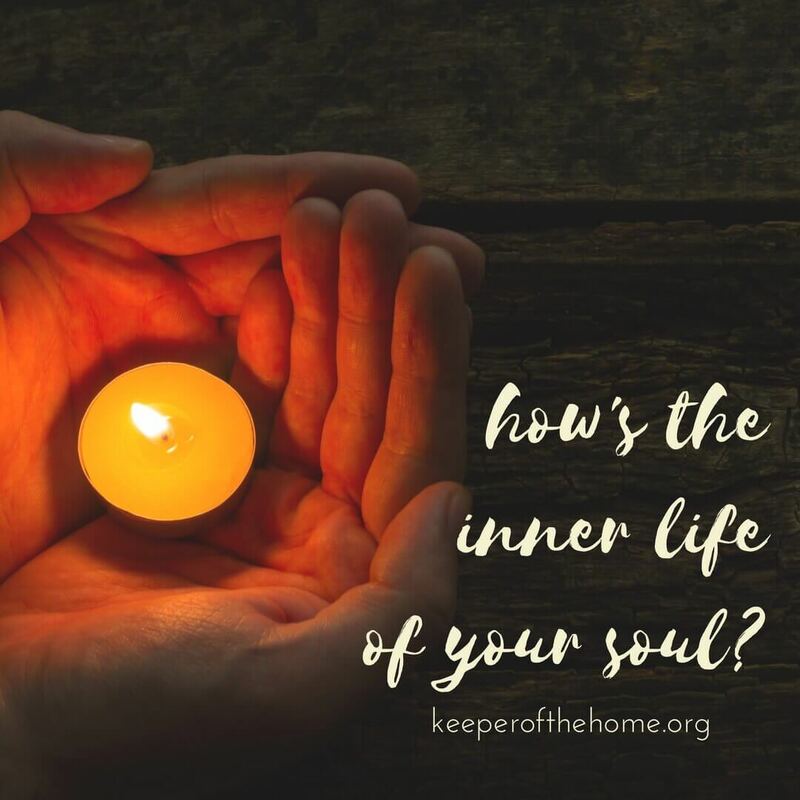 Note from Ann: It’s a question that might make you pause: “How’s the inner life of your soul?” I don’t know about you, but I don’t often sit down and think about the inner life of my soul the way I should: That makes Janie’s post especially meaningful to me: it forces me to stop and consider. I hope and pray you find inspiration and hope in her words as well! How is your soul doing in this new year? Let me ask it another way: do you feel dead inside or ALIVE? Do you feel stuck and preoccupied with things that you know, deep down, are not healthy and good for you? Do they bring you joy or do you experience constant conflict? Do you feel afraid and anxious or at peace within? Do you know how to rest or do you feel tired all of the time? Do you feel joy inside or depressed? All of these questions will give you clues as to the condition of your soul. Your soul is EVERYTHING. It is the core of your life! Certainly there are chemical and biological disorders that need medical attention, but the spiritual core of your life is not something that a doctor can cure. You have a soul that needs attention! Maybe you are not tuned into your soul at all … and you do not realize that you have one. And, you have no clue how to care for your soul! I want to help you! With the new year, I’m beginning a new series. I would like to take you on a journey with me as I share what I have learned over many years in my journey with my teacher, guide, and Master, Jesus, the very Son of God and Savior of the world. When I said yes to Jesus, I was just a teenager … let’s just say it was many years ago! Along with most of my friends, I attended a high school ministry called Young Life. It was a wonderful, wholesome place where everyone was welcome, no matter what their background. It was a very fun time. We sang folk songs, laughed ourselves silly over skits, and listened to stories about the life of Jesus. I listened intently. 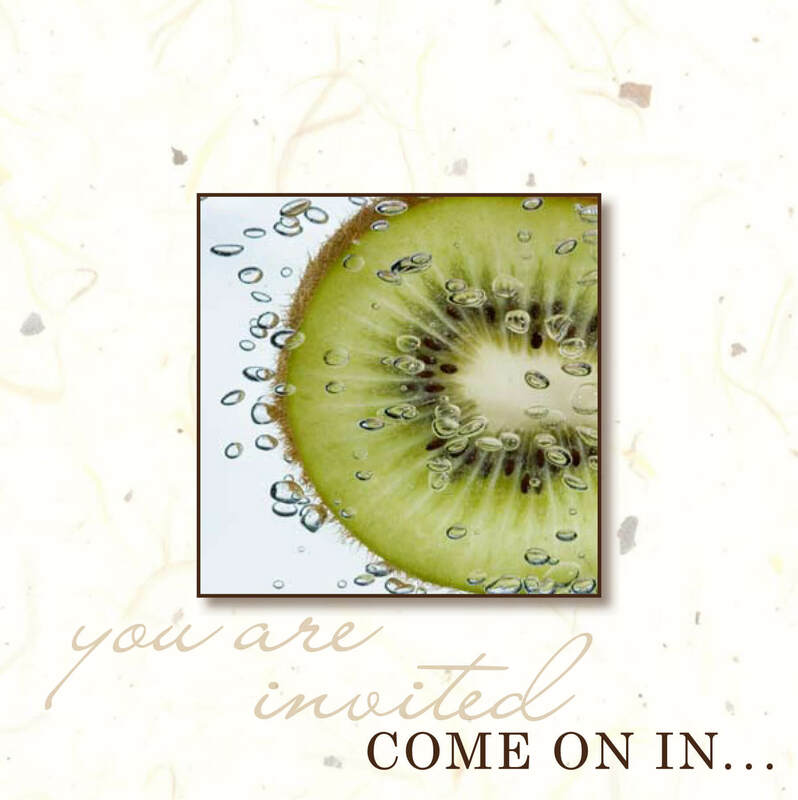 I realized that I wanted to follow Jesus and when the invitation was given, I was in! What I remember best about Young Life was the message that Jesus was the Good Shepherd and that He came to give life and life abundant (John 10:10). For me, it was a no-brainer! I was drawn to the love of Jesus and what I heard about Him. He became my first love. I wanted, and received, a relationship with the Good Shepherd who loved me and promised to walk with me through my life journey. All I had to do was open my heart to Him! Something in me hungered for wisdom, and something in me told me that Jesus was the source of wisdom! Though that was a few years ago, here’s what I want you to know: Jesus has truly been my good Shepherd. Without Him, I don’t know where I would be. Life has not been easy; it never is! There were times when I wondered where that abundant life was that He promised. To be really honest, there were times when I did not like the journey one single bit, nor did I like Him! At times, I did not like what He allowed into my life … but I watched Him help me through it. And, wonder of wonders, He held onto me! He kept me by His side, even when I was not happy, or full of rebellion, or exhausted, or frankly didn’t want to be there. For a long time I simply did not realize that He had His eye on something that I did not understand — the strengthening of my soul. He knew that my soul was the only part of me that lives on forever! You see, Jesus knows the most important question: Is it well with your soul? In the end, where did I find the abundant life? In Him! Jesus has an abundance of grace, of mercy, of love. He is full of forgiveness, full of strength to share, full of answers when you have questions, full of wisdom, of knowledge and so much more! And, He knows the way!!! He is the way. He is the lover your soul longs for! He is the husband of your life, HE is all you need. He is enough. And He will help YOU become wise … but more about that ahead! I feel like I’m at the summit of a long climb, up a very steep and sometimes treacherous mountain. On the summit, you can see where you’ve been and how you got there. Don’t get me wrong, I have NOT arrived, no one does until they reach the final summit and enter eternity, the final destination. This particular summit is just one mountaintop in the midst of a mighty mountain range. I can see more peaks in the distance. But nonetheless, maybe I’ve travelled a little longer and further than you have, and maybe I can help. I’d like to tell you about seven recurring signposts that I found along the way. 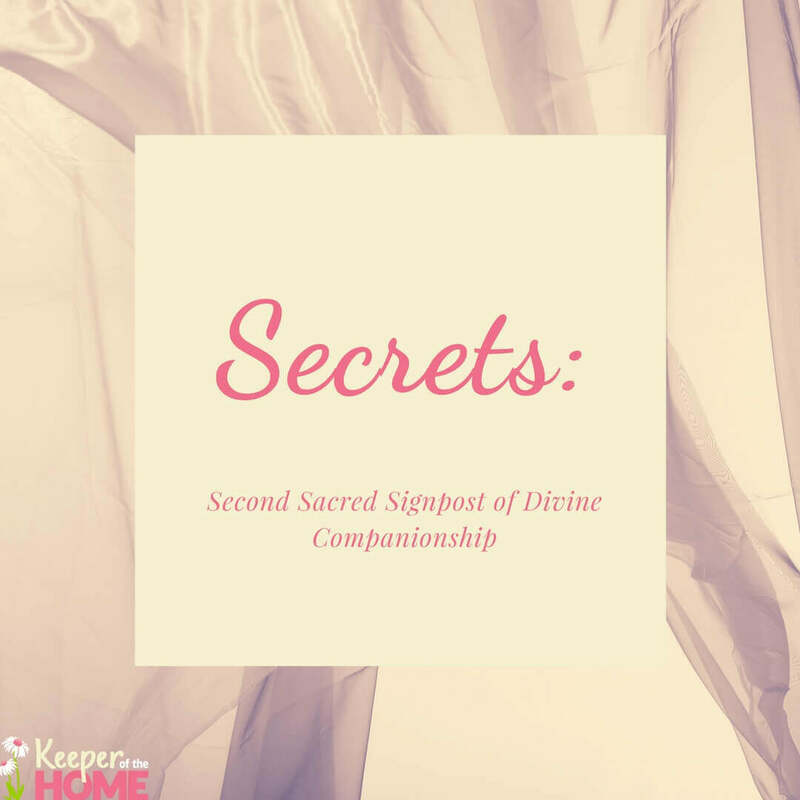 I now call them the Seven Sacred Signposts to help you on your spiritual journey. Now I realize that some of you, maybe lots of you, have not begun a journey with Jesus and simply would like to just listen a little, and explore a little. Great!! My job is simply to call back to those who want to listen and learn. I plan to describe what the journey looks like as best as I can. My desire is for you to know that you’re not alone. I can show you what other travelers have experienced… and how they managed to keep going! And, I can tell you from first-hand experience: it’s all worth it! The view is beautiful!!! The scents up here are intoxicating. The joy of reaching a summit is almost overwhelming . . . and the strength you gain is a wonder. But let me be clear: All of the praise goes to Jesus! He is the GUIDE who gets you here safely. He is the RESCUER when you were hanging on the side of cliff. 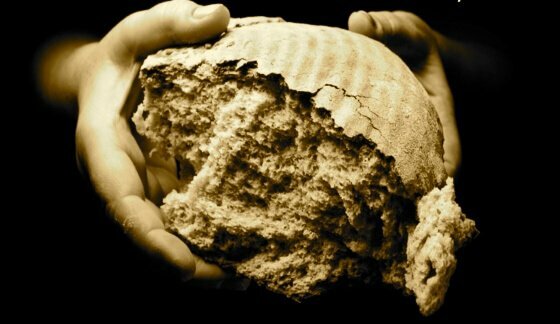 He is the SOURCE of water when your mouth is parched, and of bread (Manna) when you are starving for nourishment. This promise is true: “Anyone who is thirsty may come to Me! Anyone who believes in Me may come and drink! For the Scriptures declare, ‘Rivers of living water will flow from his heart” (John 7:37-38). Are you thirsty? Do you desire wisdom for life? Stay with me and let me show and tell you how I found it . . . And please, let me know your thoughts! 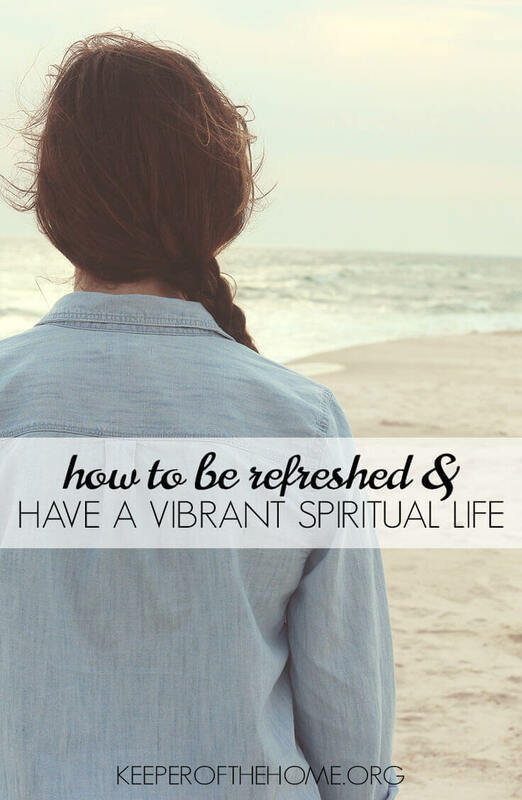 What does it take to refresh your soul? How do you pause to internally revitalize? 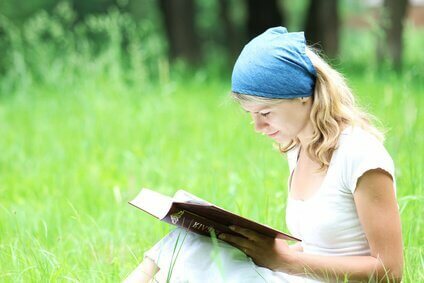 What does it take to recharge yourself spiritually? A sense of purity pervades the spa environment. The luxurious white robe you put on when you first enter a spa sets the tone. One of the amenities of my local spa is a free body scrub. Oh my, I love the scrub! After the scrub, I get to choose if I want lavender, citrus, or vanilla water spritzed over my cleansed skin. Sooo nice. Freshness, cleanliness, wholeness—all that is healthy surrounds you. You feel better just being there. You wish you could live like this all of the time! In fact, we can do better. We can have freshness that radiates from the inside out by wearing the beautiful robe of forgiveness. A key word to understand is “atonement.” Atone means “to make amends.” Atonement removes all barriers between us and God. We all have barriers. The walls prevent us from accessing all that is available in God. Maybe you long to indulge in the Lord but sense you cannot break through. 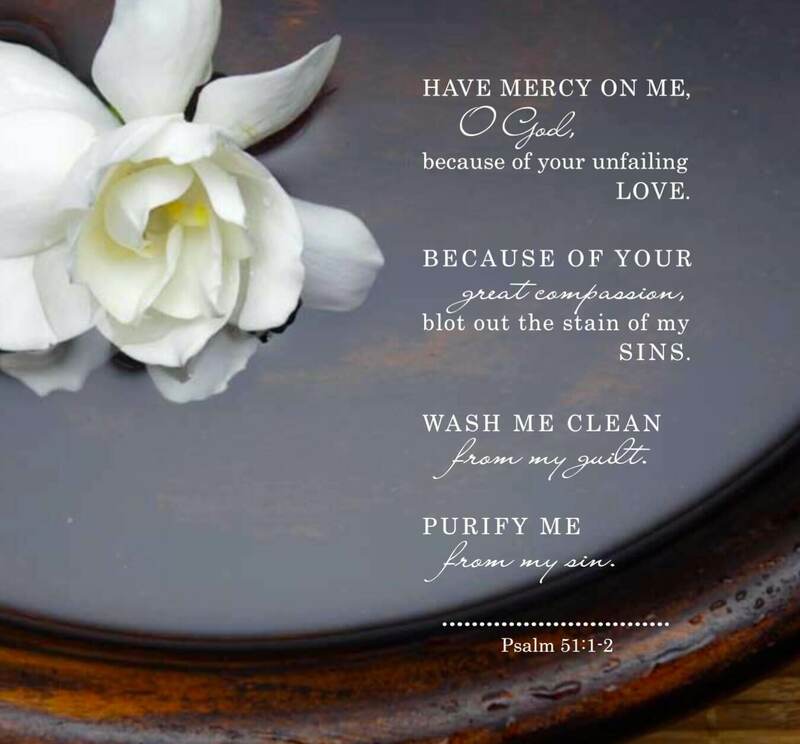 Maybe, just maybe what you need is an inner cleansing and forgiveness for those things you have done and said that have grieved the Holy Spirit of God. An inner scrub, if you will. It is so doable! God himself has made it possible and has the scrub ready and waiting. All you have to do is ask for it. Ask for forgiveness and receive the free gift. Jesus made amends for you—broke down the barriers—when He died on the cross. He paid for our sins with His suffering. It’s hard to believe but it’s true. And—He knew you by name. In fact, He knew you before He created the world! Think about it: you come in exhausted, with clogged pores and sore muscles; you come out refreshed, cleansed, and strengthened. 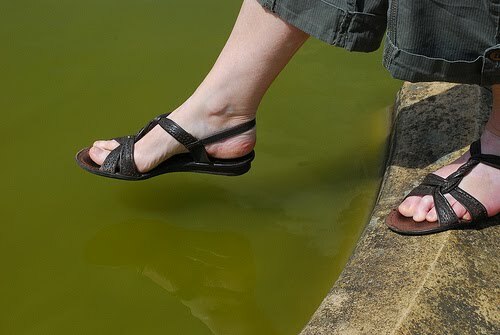 Ah, the freshness you will feel if you let God cleanse you! It is more wonderful than a deep tissue facial or an orange blossom body scrub . . . indulge. How do you refresh your soul? 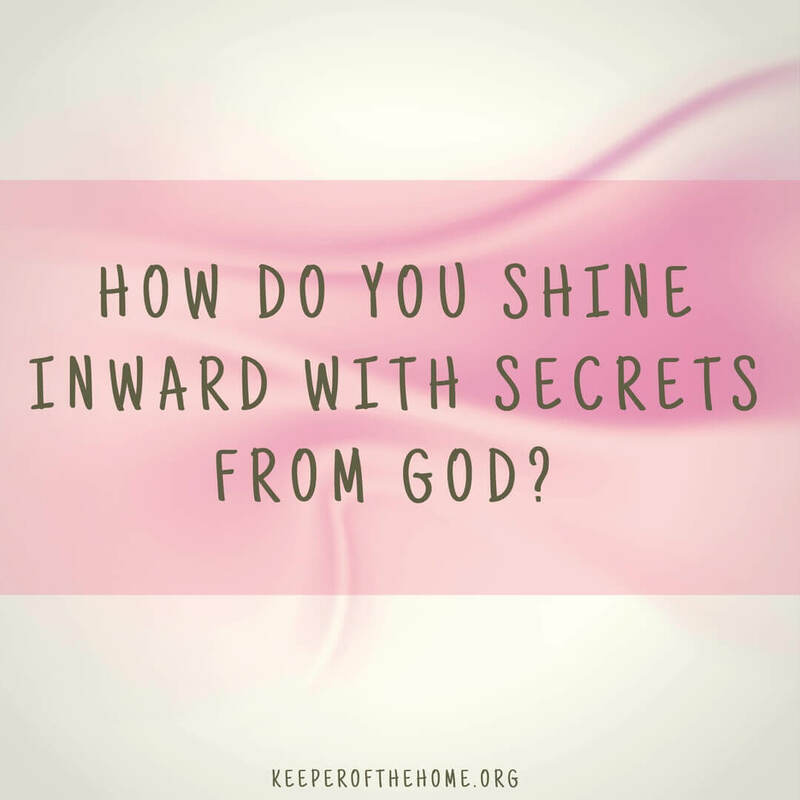 What can you do today to open yourself to this spa experience from God? 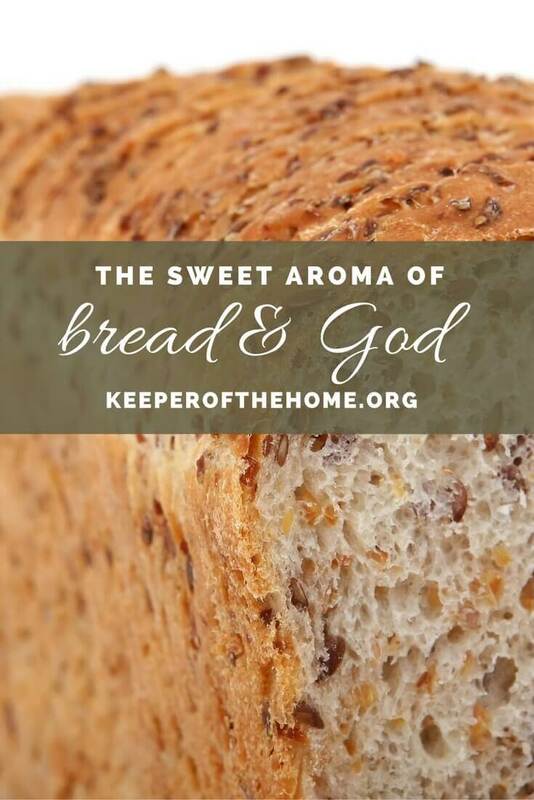 We talk a lot on Keeper of the Home about how to be good stewards of the bodies God gave us by feeding them real food that nourishes. But how zealous are we in feeding our spirits with real food? The Creator made us as integrated whole human beings with bodies, minds, and spirits, and He graciously provided us with all we need to be healthy. For our spirits He gives us direct access to His objective words through His gift of the Bible. We don’t have to figure out life for ourselves and come up with as many different opinions as there are people in the world. God already has it figured out for us. Since He’s pretty wise, we can trust Him. But we like junk food, don’t we? The greasy, artificial colors and flavors are of the enemy and his lies. Junk food is cheap and readily available everywhere we turn. It’s on our TVs, in our books and magazines, on our computers, in the malls, on the billboards, in our schools, and on our radios. And we’re silly, sinful little Wemmicks. We crave it. Junk food appeals to all our senses, and it temporarily satisfies us. But the fix soon wears off, and we end up reaping the short term consequences of sluggishness, heartaches, distraction, and self-focus—as well as the long term consequences of bitterness, sorrow, and lack of purpose in life. It’s never worth it, but still, we struggle with its alluring temptation. God’s Word is our meat and potatoes. But we can also benefit from supplements that help fill in the cracks of our understanding and wisdom. God has provided us with one another—the body of Christ—to encourage, comfort, and build us up in strength. I like to think of books, music, visual media, and blogs as supplements, too. What kind of supplements are you taking in? Are they merely fillers? Artificial and shallow? Or do they augment what God is teaching you through His Word? Do they encourage you to admire and pursue temporary pleasures and the stroking of your vanity— or do they spur you on to running hard after God with all your heart, soul, mind, and strength? When life goes sour—and it does—what do you turn to to alleviate your suffering? Do you trust man-made, quick fixes and your own sensibilities to guide you toward restored spiritual health? Or do you turn to the Master Physician to heal your spirit? He knows exactly what you need. And when you need it. He doesn’t always work on our time table because He has a greater purpose in mind that will ultimately work for our good—and His glory. Sometimes He has to perform major heart surgery to bring us into a deeper sense of wholeness and spiritual health. His goal is our joy and peace. He knows that will only be achieved when we have surrendered everything to Him. Mama’s milk is the perfect food—for a baby. But would that same child be healthy and strong if, at age 10, he was still relying on milk alone to meet his nutritional needs? As we build our relationship with Christ, spending time with Him in His Word and in prayer, immersing ourselves in Truth, embracing grace, and striving to walk in obedience, we will GROW strong and healthy! Our character will develop. God will start smoothing out some of those rough edges. Our love and concern for others will increase. 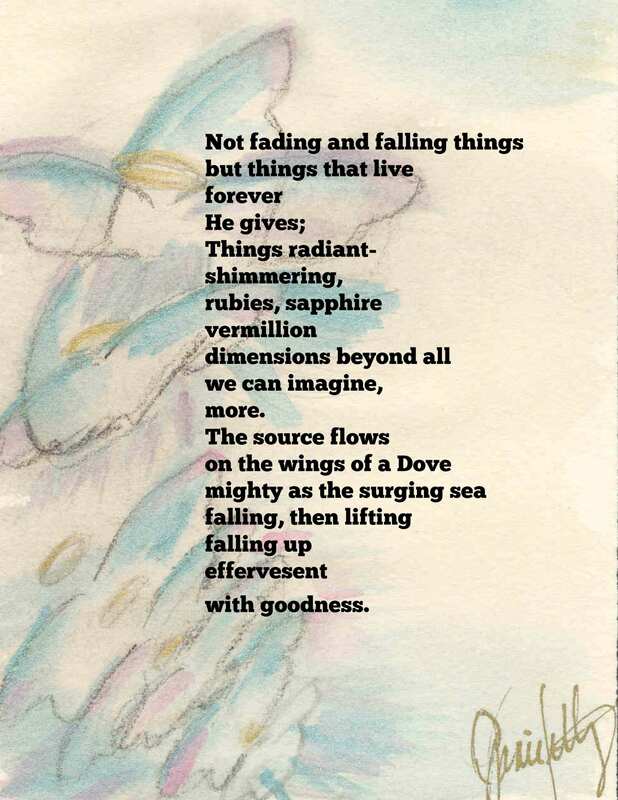 Love, joy, peace, patience, kindness, goodness, gentleness and faithfulness will be evident in varying degrees. Milk has its role in your life, but don’t spend a lifetime living on it. May God give us the power, discipline, and self-control to pursue the wholesome goodness and realness of Himself. Only then will we be able to fulfill the purpose for which He created us: to turn around and feed others—and to bring Him glory. What do you do to help keep your family spiritually well fed? Amen! I appreciate the encouragement. Especially the part about the enemy wanting to keep our eyes off of the Lord. I have had wondering eyes the last two days. So grateful for that mercy and grace that doesn’t hold that against me and provides the faith to trust. Trusting God is one of my favorite books! i love that book! read it years ago and just really grew through it as well. recognizing God’s sovereignty is HUGE! It is through the painful trials that our character is grown and stretched! Great post! !